The University of Iowa Department of Theatre Arts is one of the oldest and most respected theatre programs in the country. We offer students the opportunity to earn an undergraduate BA degree, or an MFA degree with an emphasis in acting, directing, design, playwriting, dramaturgy, or stage management. New work and collaboration are the hallmarks of our department. For more than 90 years we have supported the development of new plays by students, faculty, and distinguished guests. We recognize that every play, whether new or old, is brought to life through the complex collaborative effort of a writer, director, dramaturg, designers, actors, stage managers, and technicians. In order to support this process, we seek to create an atmosphere of passion for the art and generosity of spirit. The Department of Theatre Arts is accredited by the National Association of Schools of Theatre (NAST). It is a member of the University/Resident Theatre Association (U/RTA). 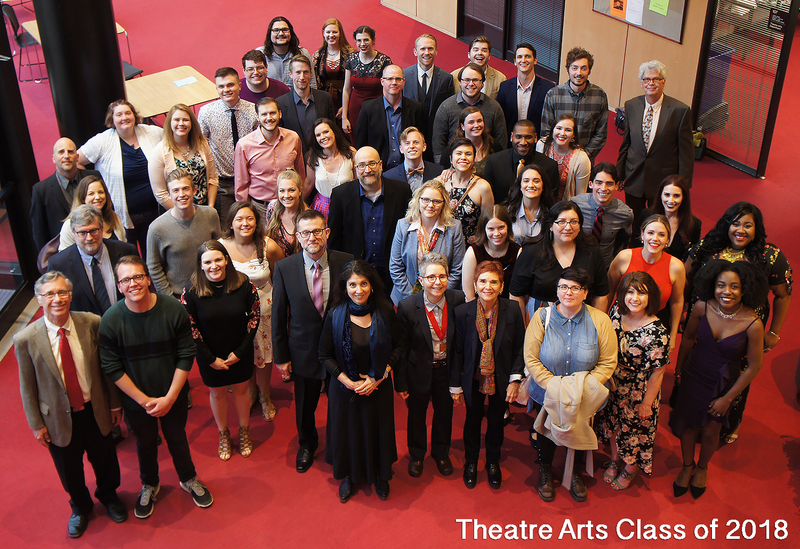 Since its founding, the Department of Theatre Arts has been committed to new work. Early in our history many plays transferred directly to Broadway, and in recent years numerous plays have gone on to be produced in New York and in regional theatres. We are deeply engaged in play development. 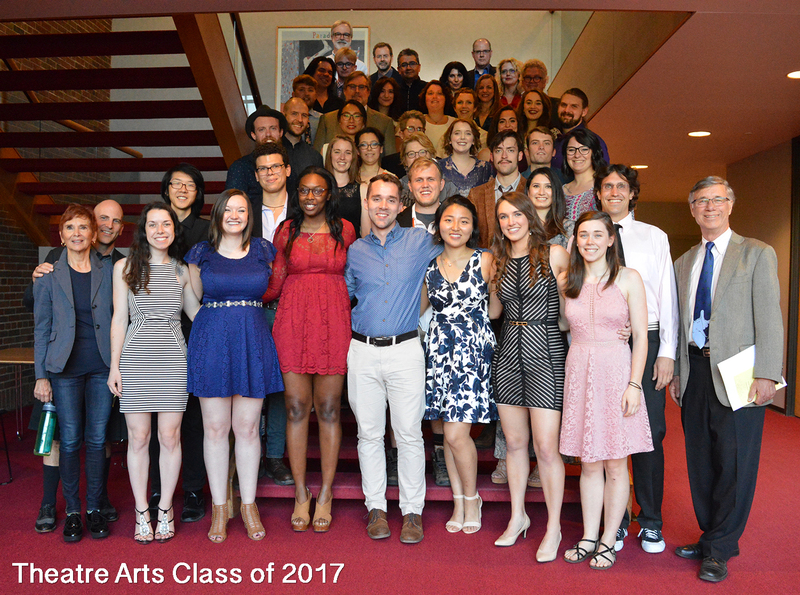 Each year at least 15 new works by graduate and undergraduate students are produced and another 25 new plays are presented as readings. The MFA Playwrights Workshop provides an intensive three-year study, and the undergraduate program offers four playwriting courses and many opportunities to present ten-minute and full length productions. Link to a video about the creation of our mainstage production of THE IMAGINARY INVALID. Hundreds of writers have had their start at Iowa, as have 1000s of actors, directors, and other artists who still work in new play development. Each year we bring together a team of America’s finest experimental writers and directors to create a new work that is presented on the mainstage season. The artists are in residence for 6-8 weeks and work with students on an ambitious project that may well go on to professional productions elsewhere. Kevin Artigue (MFA, 2011) was recently named as a Public Theater Emerging Writer. The Public Theater announced the 10 new playwrights for the 2014-15 Emerging Writers Group. Now in its fifth cycle, the Emerging Writers Group is an ongoing initiative that targets playwrights at the earliest stages in their career, creating an artistic home, and offering support and resources for a diverse group of up-and-coming playwrights. Writers are selected bi-annually and receive a two-year fellowship at The Public which includes a stipend. Staged readings of works by Emerging Writers Group members are presented in the Spotlight Series at The Public. The playwrights also participate in a bi-weekly writers group led by The Public's literary department and master classes led by established playwrights. Link to an article about the Emerging Writers.